Sacha and Nyree Kindred stay at The Guesthouse East with their lovely daughter Ella! Overall, Sascha has won a total of six Paralympic, nine World and eleven European Championship Gold medals (49 medals in total including silver and bronze) and has represented Great Britain in four Paralympic Games (Atlanta 1996, Sydney 2000, Athens 2004 and Beijing 2008) thus far. In addition, he currently holds a number of British, European, Paralympic and World records. Nyree, is one of the most experienced members of the GB disability swimming squad and has represented Paralympics GB at four Paralympic Games. 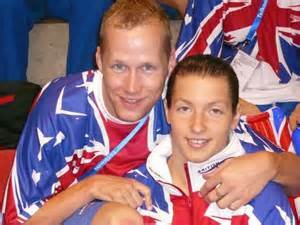 Her first appearance at a Paralympic Games came in 2000 in Sydney where she won three medals, two silver and a bronze. At the 2004 Paralympics in Athens, she won her first Paralympic gold medal in the 100 metres backstroke, following it up with another gold, two silvers and a bronze. She also won silver medals from both the Beiijing 2008 and London 2012 Games.